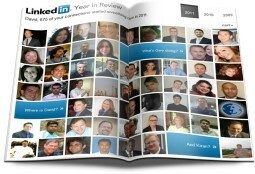 FREE guerrilla marketing audio download gets you hired, no matter the economy. 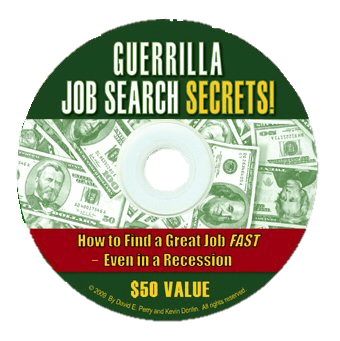 Grab our recession proof Guerrilla Job Search Tips audio ($50 Value - free to anyone)- AND then download the eLearning Library of templates, audio and video ($250 value) if you purchased the book. Audio available for a limited time only. Click the button below right now. This fast-paced program was presented in front of a live audience by David Perry and Kevin Donlin. The 2 1/2 hour long digital download gives you everything you need to get hired fast — in any economy. Download it today — FREE. 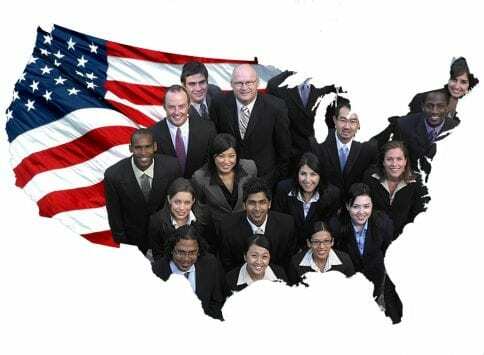 Available for workers affected by the Federal Government shutdown. Limited time only. Click the button below right now. Are you worried about a job search that's dragged on for weeks... months... or longer? Discover the revolutionary, one-of-a-kind Online Job Search Coaching platform that helped a man get 6 job offers... out of 8 interviews... after contacting only 10 employers. Learn how the guerrilla job search online boot camp called MyNewJobHunt.com can help you land faster. 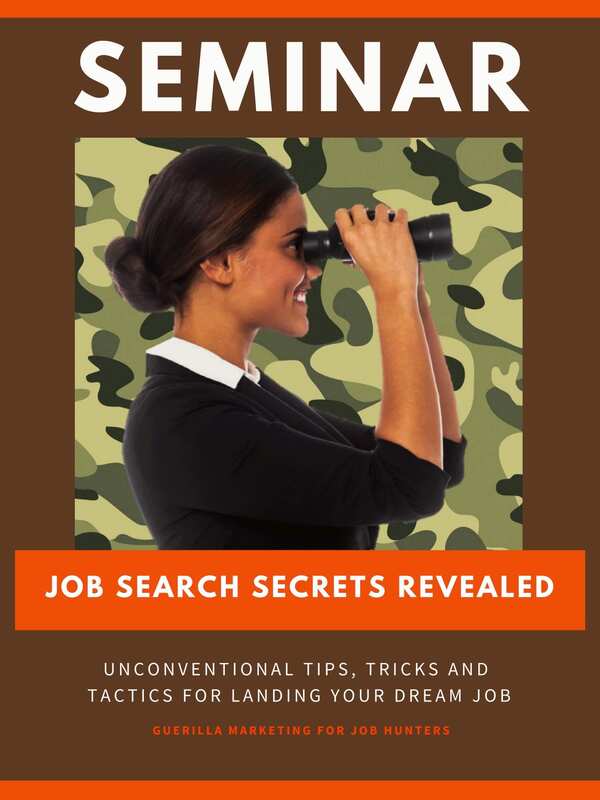 Guerrilla Marketing For Job Hunters 3.0 Is The #1 Best Selling Job Finding Book Of All Time! 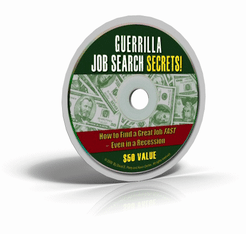 Learn how a guerrilla job search coaching can help you land faster. Go Guerrilla! 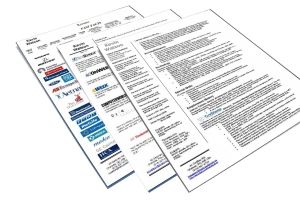 Gain an immediate edge over all other job seekers competing for the same job. Go Guerrilla!